In modern football, numbers are everywhere. From touches in the opposition box to expected goals, clear-cut chances to win-loss ratios. In the modern game, these numbers help provide the narrative, the drama, and the conversation. They are scrutinised in order to justify results and to predict future outcomes. They even dictate transfer policy and drive clubs to achieve the impossible. But when did the numbers become so important and what do they mean? 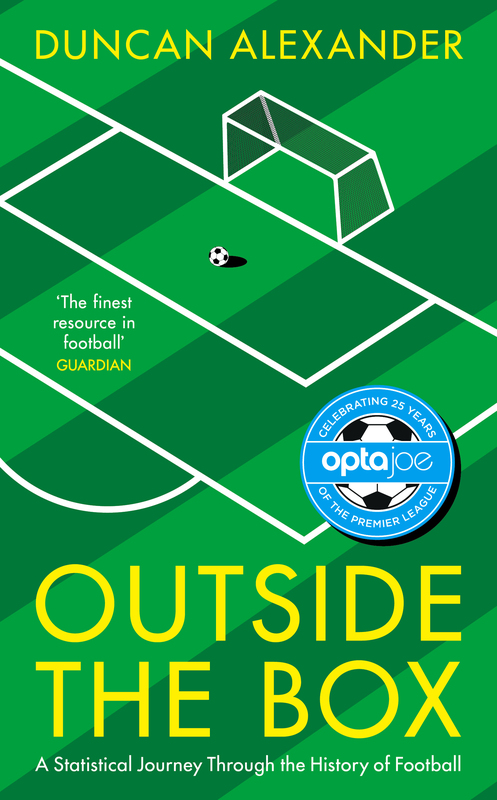 In this presentation, Duncan Alexander, co-creator of the @OptaJoe Twitter account and author of the Outside the Box: A Statistical Journey through the History of Football, looks back at twenty-five years of the Premier League and beyond, uncovering the hidden truths and accepted myths that surround the game. Using the archives of OptaJoe and never-before-seen data, he addresses questions such as: why Liverpool have gone 27 years without winning a league title? ; why Lionel Messi is the best player in the game’s history? Or is he? Duncan Alexander has worked at Perform/Opta for a decade and has been instrumental in the rise of the use of data in the football media. Co-creator of the @OptaJoe Twitter account in 2009, Alexander is also the author of The OptaJoe Yearbook 2016, and has written for and collaborated with organisations including The Guardian, the BBC, Sky Sports and The Mirror. Alexander, D. (2017). Outside the Box: A Statistical Journey through the History of Football.Century.